The man who brought life to Freddy Krueger once told CBC that the process of turning himself into the demonic killer was gradual -- and involved coffee. The man who brought Freddy Krueger to life said the process of turning himself into the demonic killer was gradual. It also took place in a makeup chair and involved coffee. 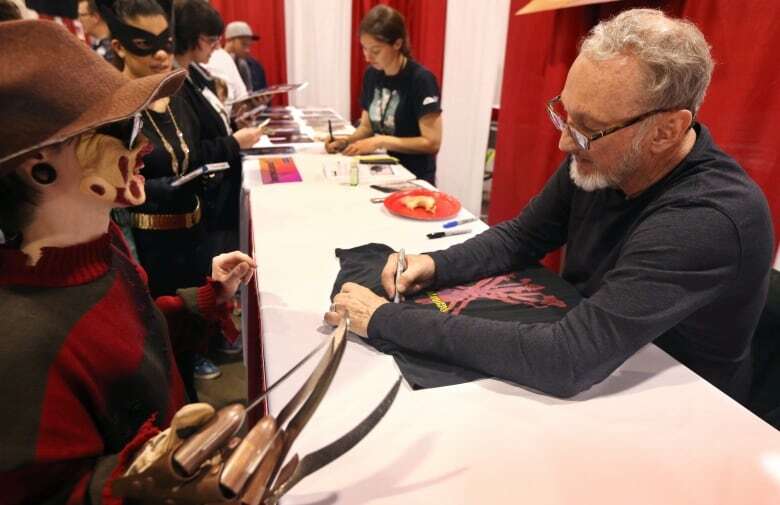 At least that's what he told CBC's Midday when Valerie Pringle asked actor Robert Englund how he got "ready to be Freddy." "I sit in the chair and Kevin Yagher, who is the handsomest makeup man in the world, does my makeup for, like, four hours," said Englund, when describing the process to Midday in 1987. "We drink a lot of coffee and we talk, and I get more and more ornery as they put more and more glue on me and in about four hours, there's nothing left of Robert Englund. It's just this cantankerous cuss named Fred Krueger!" Krueger, of course, is the iconic horror-movie character from the Nightmare on Elm Street series. 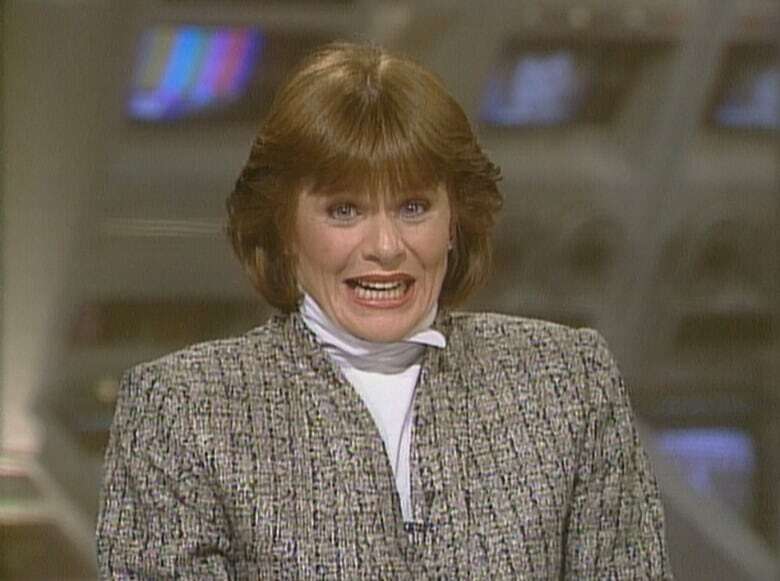 Pringle, then the Midday co-host, revealed she was not a fan of horror movies and felt too scared to see Englund's on-screen work. Just one glimpse of Krueger, in a TV promo, had been enough for her. "I've never forgotten it. I've seen that face once and it's burned in my memory," said Pringle. "Burned — good choice of words, Val, because that's just what happened to Fred," said Englund, who was wearing the glove with claws that the character uses in the films. "He's disfigured from the vigilante parents that burned him to death," Englund said, briefly recapping the circumstances that formed Krueger's very scary visage. "Remember: Two wrongs don't make a right," a smirking Englund added. He admitted that Krueger was one scary dude to wake up and see in the mirror — something that literally happened to Englund when he fell asleep in a trailer and awoke to see "this bald, little man looking back at me." "It seared itself into my brain — that image. I've scared myself," he said.